The Coppermines Mountain Wedding venue, a venue like no other in the English Lake District. 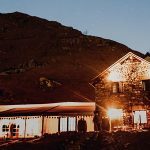 With magnificent views to the Coniston fells above and Coniston Water in the valley below, our unique and exclusive venue is set amongst bubbling becks, waterfalls and rugged crags. Set in the heart of the majestic Coppermines Valley the venue is licensed for both civil ceremonies and civil partnerships and we have been holding weddings here since 2010. From arrival the venue is exclusively yours and you have the freedom to decide how you wish your celebration to unfold. We can guarantee that no two weddings held at The Coppermines are ever the same. Given the unique setting the Coppermines Valley offers a beautiful backdrop whatever the season and provides numerous outdoor opportunities for wedding photographs. 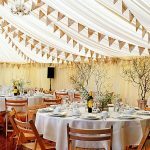 A wedding marquee or tipi at The Coppermines has a fantastic atmosphere and is a wonderful place to celebrate, dine and dance the night away. The room can comfortably hold 50 people seated and other guests are able to view the ceremony from outside through the wide entrance double doors to this cottage, utilising an extra pagoda marquee. If you are looking for a traditional church wedding then there is the beautiful St Andrews Anglican Church in Coniston, along with a Sacred Heart Roman Catholic Church and Coniston Methodist Church. Just a mile above Coniston Village high in the Coppermines Valley sit 5 fantastic properties. 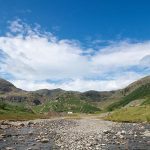 For those who love the countryside these cottages offer you the chance to explore the fascination of the fells or to simply relax, unwind & enjoy the clear mountain air, beneath a stunning panorama of mountain peaks.